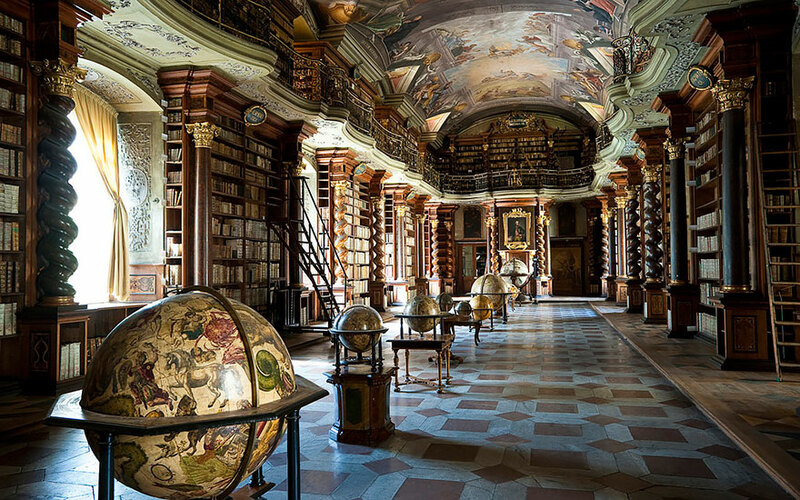 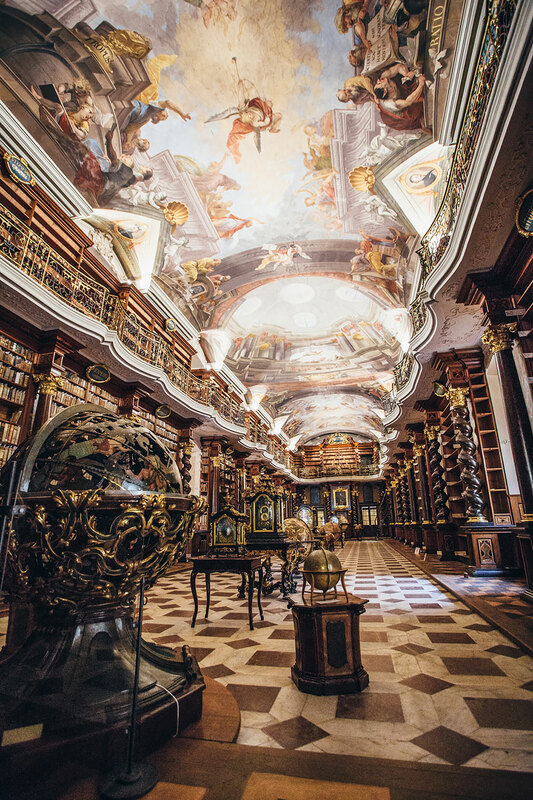 The Klementinum library, a beautiful example of Baroque architecture, was first opened in 1722 as part of the Jesuit university, and houses over 20,000 books. 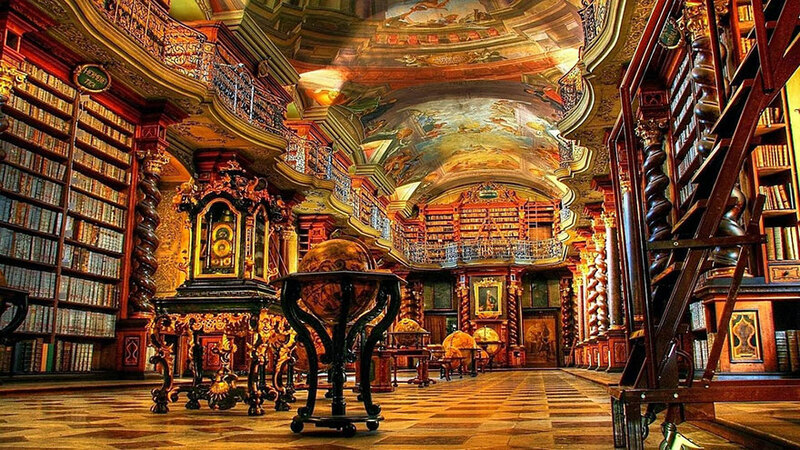 It was voted as one of the most beautiful and majestic libraries in the world by our readers! 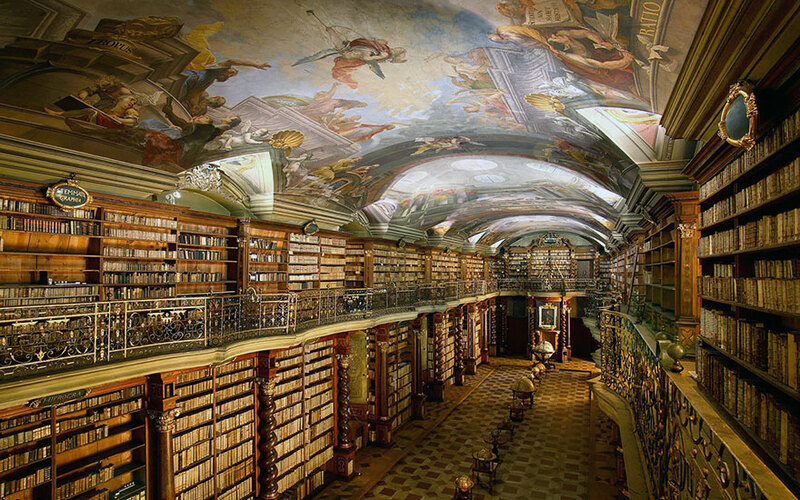 The ceiling frescoes were painted by Jan Hiebl. 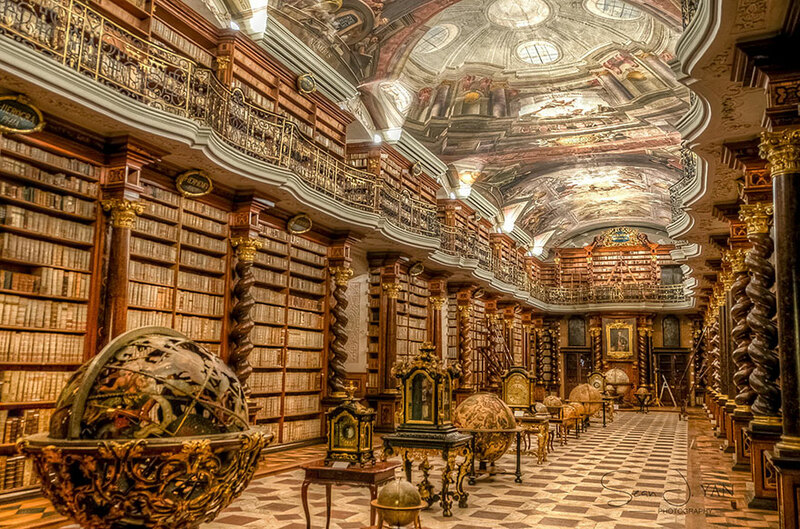 In 1781, director Karel Rafael Ungar established Biblioteca Nationalis, a collection of Czech language literature. 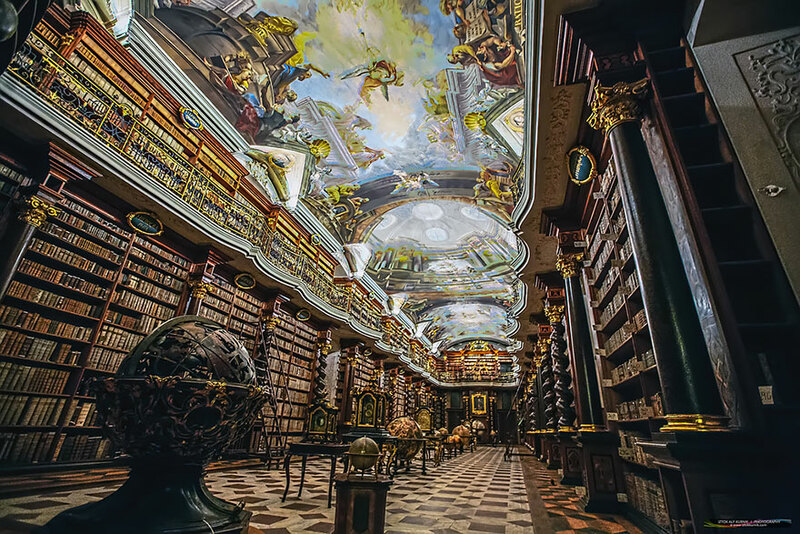 Some of the rare historical books from this collection have been sent to Google for scanning and will eventually be available on Google Books. 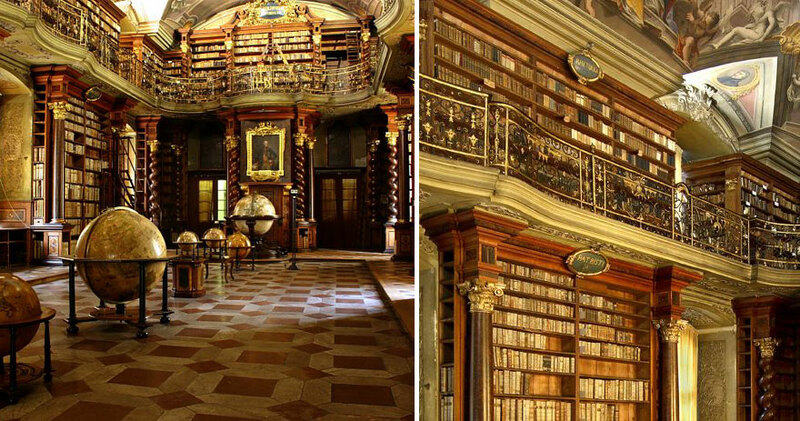 Just as the library is a rare and little-known treasure, so is it associated with several little-known facts: the Klementinum used to be the third largest Jesuit college in the world; recording of local weather began there in 1775 and has continued ever since; it is featured in a novel by famous Spanish-language writer Jorge Luis Borges.